911 calls summoned Police and Fire fighters to a single vehicle accident vs. tree on south bound Elmhurst Rd, just north of Euclid. 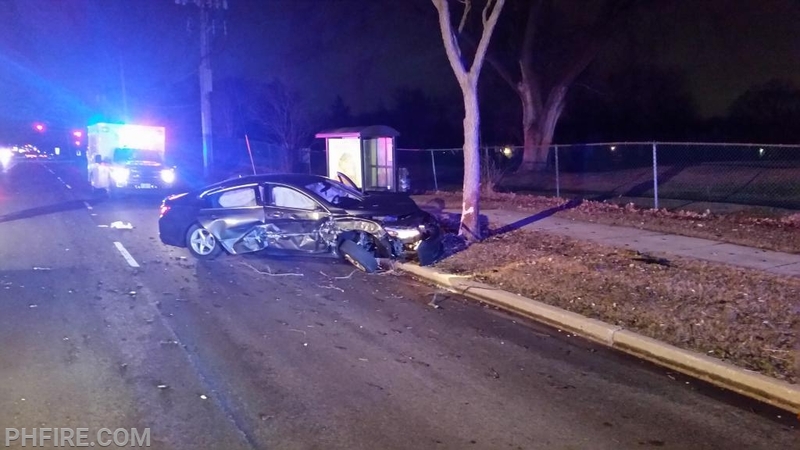 Witnesses reported a car crossed the center line from north bound Elmhurst and struck the tree at a high rate of speed. 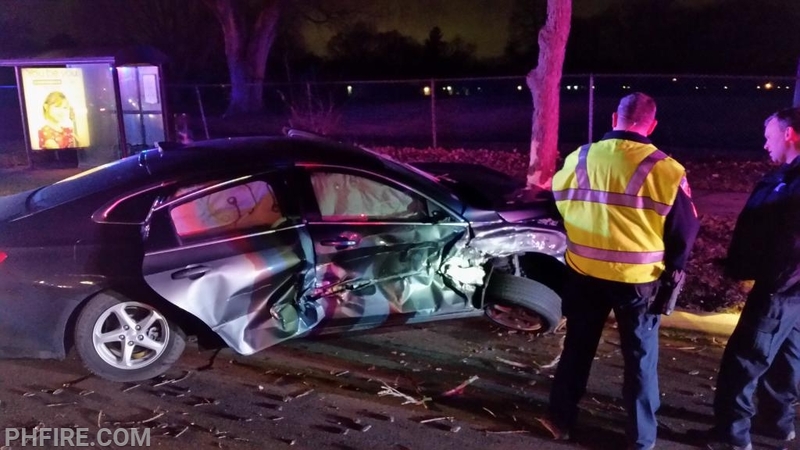 Two occupants from the crash were transported to local hospitals, one by a Prospect Heights Ambulance, and the second by a Mount Prospect Ambulance. Both driver and passenger presented with minor injuries- reinforcing the effectiveness of seat belt use and modern airbags in cars..........Always buckle up! A view looking south on Elmhurst Rd. Major damage noted to the car, and also the tree which it struck in the back ground.